It is expected for the car to be 220 lbs lighter than the normal model, and sport 30 more horsepower. With the rumored running suspension changes, this makes this a very fast car potentially. 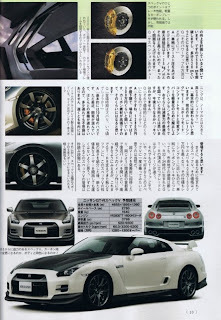 Nissan is supposed to be headed back to the Nurburgring with the normal GT-R to put the car way in front of the ZR1.